They're coming to take your waves! They're coming to take your women! Invasion! From Planet C is a full length surfing movie with a science fiction plot. Shot in New Zealand, Costa Rica, Australia and California, it stars Mike Black as Gnar Gnar and Matteo Plummer as Casanova. The movie is directed by David M Potter and marks Mike and David's third feature film collaboration. Music for the movie was done by Dark Dark Mask, Defenders of the Universe, Loafer, SSNNDDRR, Nick Stellino, Christopher Jones and The White Buffalo. 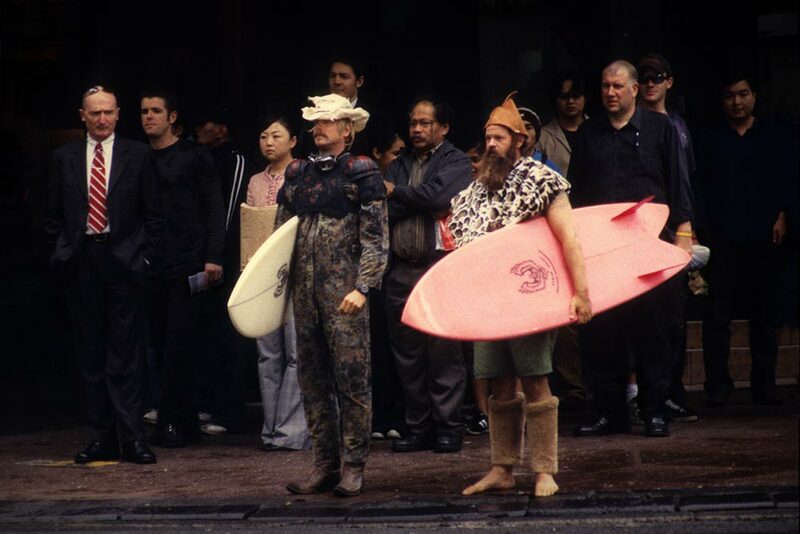 Ben Barnick and Colin Garret helped film surfing. 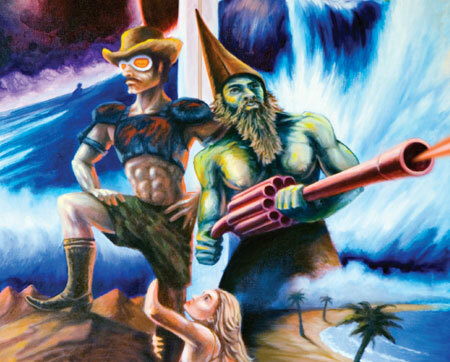 The DVD cover art was painted by Brin Sparhawk Levinson. Guest surfing apperances by Dan Klemann and Ty Williams. Thank you friends for your contributions. Surfer Magazine was stoked on Invasion! You can read it here. The Houston Press taked to Gnar Gnar about the upcoming Texas shows. You can read it here. Surfer's Journal Volume 16 Number 3 has a piece on the movie. You can read it here. The LA Times interviewed Gnar Gnar. You can read it here. The Santa Barbara Independent had a great article about our movie prior to our May 12th show. You can read it here.